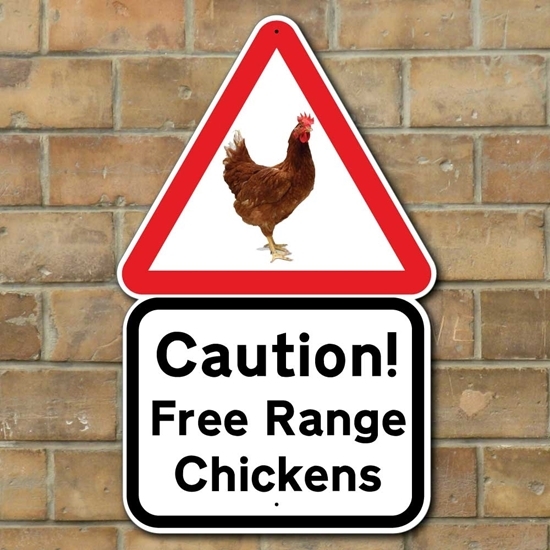 Robust sign ideal for a outdoor location such as a chicken coop and farm location. 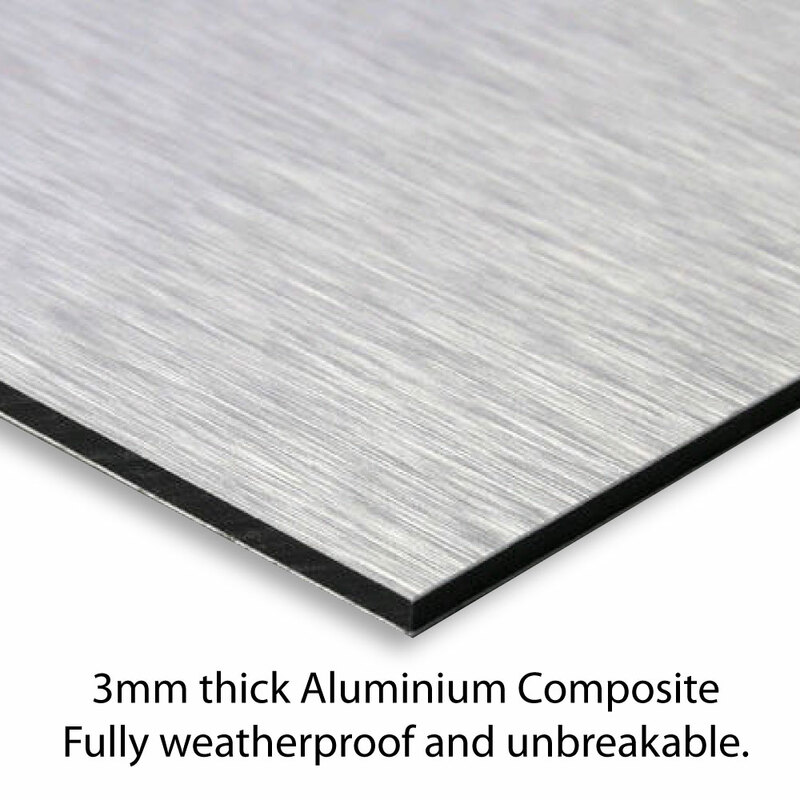 Aluminium composite fully weatherproof & unbreakable. UV printed - NOT peel off vinyl stickers, super smooth finish. 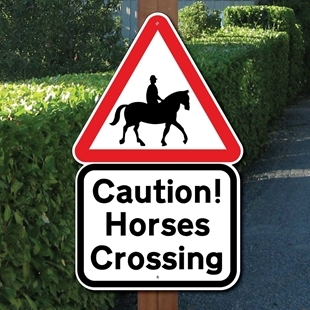 CAUTION HORSES CROSSING...Robust Shaped aluminium composite metal sign with two fixing holes. Fully Weatherproof.